Montana is ripe with ghost towns, many are a short drive from Missoula. Whether maintained or not, ghost towns can be a historical, if not haunting, experience. 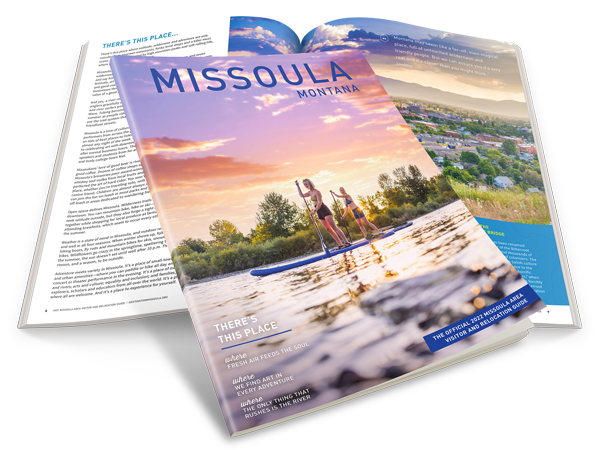 The following are listed by the nearest active city in Montana to their location. Montana's most intact ghost town is in the heart of the Garnet Mountain Range roughly 30 miles east of Missoula. Like so many ghost towns, Garnet was built to exploit the wealth of gold in the local mountains, but slowly dwindled in size over three decades time brought on by fire and hardships on the home front during World War I. Originally built at the end of the nineteenth century, some 1,000 people called it home in 1889 until the last of its residents left the area around the beginning of World War I. It experienced a momentary renewal of interest during the Great Depression, but eventually slipped away into obscurity. The fame of Garnet now lies in its history and fortunate ability to stand the test of time even though it was never originally built to last. Located in the Garnet Mountain Range east of Missoula, Coloma Ghost Town is just a few miles north of Garnet. Used primarily as a study and research site by the University of Montana Anthropology Department, Coloma was active in the late 1890s up until 1916. At that point it is hard to locate much information about the site except for newspapers that have been extracted from house walls used as insulation dating from the 1920s and 30s. There are still mining shafts, ventilation systems, pumping machines and remains of narrow-gauge railroad tracks present at the site. Home to the world's largest gold nugget, sold for $19,000 in the late 1800s, it is also home to the Old Atlantic Cable Mine. Not much is left here; three cabins, a large barn with log sides, and a boarding house with furniture. Higher up the hill stands the mill with firebricks, timbers and an iron boiler inside. Built in the 1800s, it began seeing more regular use at the turn of the 20th century, but by 1940 was inactive as it remains to this day. Due to vandalism the buildings are closed to visitors, but you can see them from the highway. Bannack is one of Montana's premier ghost towns and worth a trip south of Missoula through the Bitterroot Valley and into the Big Hole Valley. The yearly event called Bannack Days occurs the third weekend in July when the town comes back to life with reenactments, and anybody is welcome to come and join in on the fun, whether you're dressed for the occasion or not. Bannack was founded in 1862 when gold was discovered on Grasshopper Creek. It holds the title of Montana's first territorial capitol in 1864, but when gold was discovered in Virginia City the Capitol was moved as many people followed in hopes of finding the mother lode. Active from the 1860s - 1930s, Bannack maintained a fairly strong population of miners until the gold dwindled around 1950. Sixty structures still stand at this State Park, most of which are still explorable inside and out.